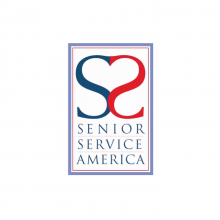 Senior Service America, Inc. (SSAI) is committed to making it possible for low-income and other disadvantaged older adults to participate fully in determining their own future and the future of their communities. We can trace our roots to the National Council of Senior Citizens, launched in 1961 to advocate for older Americans. For over 40 years, we have operated the federal Senior Community Service Employment Program (SCSEP), our largest program, through a network of local subgrantee organizations. We also operate two other programs for older workers. Headquartered in Silver Spring, Md., near Washington, D.C., we are a 501(c)(3) non-profit organization headed by Interim Executive Director Gary A. Officer and a board of directors.